Our experienced and friendly seditionist comes regularly to treat our patients at the practice and the appointments are readily available. 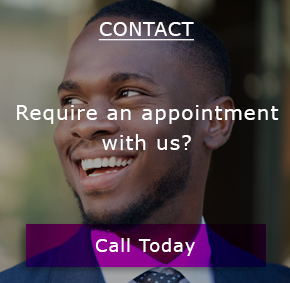 If you have a dental anxiety, moderate fear or phobia we can help you to achieve your goals of overcoming your dental fears and having the dental procedure you wish to have. Our friendly dentists are sympathetic about these feelings and you can ask our dentists about how to overcome these fears via sedation in our relaxing atmosphere. Our dentists are sympathetic about these feelings, and you can ask our dentists about these ways to help, overcome those fears with relaxation or sedation. Sedation is essentially a technique in which the use of a drug or drugs produces a state of depression of the central nervous system’ (Wylie Report 1978). 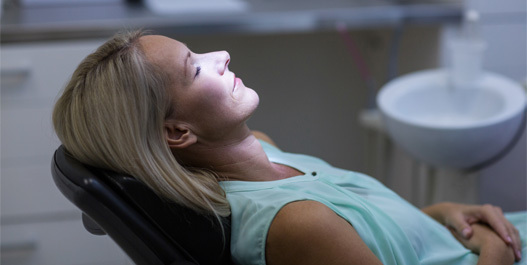 Sedation is widely used as a means of reducing anxiety during dental procedures. Verbal contact is maintained throughout the sedation and although with intravenous and oral sedation there is often some amnesia, but the patient is always ‘conscious’. There are 3 main types of conscious sedation: INHALATION, ORAL and INTRAVENOUS. Intravenous (IV) sedation is a reliable and effective means of producing more profound sedation with a rapid onset of action. Midazolam is the most common drug used. IV sedation is ideal for longer and more difficult dental procedures, e.g. extractions, or multiple restorations. Amnesia is quite common with IV sedation; which means that the patient may not remember or recall the treatment carried out, allowing them to build positive memories and experiences of their dental treatment. How will the IV sedation affect me? You will become drowsy and unaware of the actual treatment. You are still able to communicate with your dentist. The sedative medicine effects do take some time to wear off. Treatment will start once our experienced seditionist is confident that you are in a fully relaxed state and completely sedated. Throughout the procedure, the seditionist and dentist will consistently monitor your pulse and your breathing, whilst ensuring that you are completely comfortable. You will still be able to understand and respond to the questions from your dentist and the team. However, you may not remember much about the experience for two reasons: Sedation induces a state of deep relaxation and may not consciously be bothered with what is happening around you. After the sedation, you may experience either partial or complete memory loss – rendering your whole experience of visiting the dentist as pleasant, calm, and relaxing as a result and it would feel like you had been sleeping for the entire treatment! If a patient is really scared about going to the dentist we can offer sedation for most dental treatments. • AVOID having a heavy meal before your appointment – it is important however that you do have something light and sugary a few hours before your appointment. • REST- Put your feet up, perhaps even have a nap. • Patients who are trying to conceive or who are pregnant must inform their dentist in advance of their appointment. Please contact the clinic if you have any enquiries before or after your sedation appointment. If you have any questions about dental sedation, please feel free to contact us. Our team dedicated team we will be happy to help. Call us today for a consultation for treatment under sedation at Smile Dental Centre Basildon on 01268 50555.